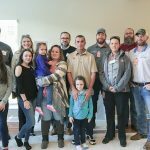 With our friends at PNC Bank, we are proud to honor U.S. Army veteran, and Purple Heart recipient, James Davis with keys to a mortgage-free home located in McDonough, GA. The home, donated by PNC Bank to the Military Warriors Support Foundation was given to James Davis through the Homes4WoundedHeroes program. While deployed in support of Operation Iraqi Freedom, retired U.S. Army Sergeant James Davis fought valiantly for his country. Like fellow combat-wounded veterans, this Fayetteville, NC veteran, was awarded the Purple Heart for injuries sustained while performing combat operations. 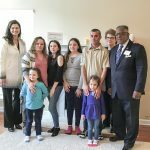 PNC Bank – in partnership with Military Warriors Support Foundation (MWSF) – has donated a home in McDonough, GA to Sgt. Davis and his family in recognition of his service to our nation. Mr. Davis was stationed in North Carolina, Texas and served two combat deployments to Iraq. 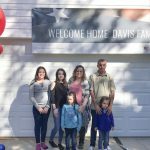 During his 22 year military service, Mr. Davis served in the U.S. Air Force, North Carolina Army National Guard and the U.S. Army. During his service with the U.S. Army, the married father of five was awarded the Army Commendation Medal, Army Acheivement Medal (2nd award), Global War on Terrorism Service Medal, Iraq Campaign Medal w/Campaign Star, Combat Action Badge and many others.